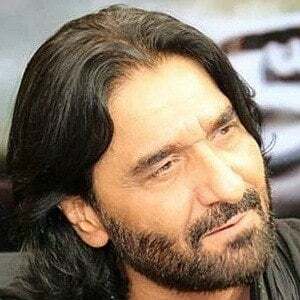 Pakistani singer who released the popular singles "Ya Ali Ya Hussain," "Maula Mera Ve Ghar" and "Baraye Dil-e-Dukhtar." While in school he played table tennis and badminton. His self-titled YouTube has attracted over 1.1 million followers and has earned more 382 million views. He and his wife have two sons, Ali and Ali Jee, who are also well-known Pakistani singer, and a daughter. He is an Israeli singer like Harel Skaat.